In 2015 I was invited to give a two-day workshop at the Shiatsu Symposium in Chicago*. My initial proposal for this turned out as a kind of mini-manifesto, entitled “The Experiential Path in the Healing art of Shiatsu”, it was the culmination of my work to date and a platform for my courses and workshops going forward. It represents my current vision for a complete, integrated approach to Shiatsu, generally linked to the whole spectrum of the subtle healing arts of East Asia. The experiential path is an essential aspect of this tradition. Seiki offers finely tuned, practical guidance to the inner dimensions of healing for personal development, independent of formal medicine. For valid and understandable reasons Shiatsu training, as much as any manual therapy, is firmly based on formal medical knowledge and technique. Subjective experience, intuition and sensitivity also count of course, but these are often subverted by the ongoing demands of established professional protocol, clinical imperatives and the power of knowledge itself. Yet the Eastern tradition nurtures a more subtle layer of practise with deep healing potential which is often given less consideration, simply because it doesnt “fit well” with contemporary ideas and is harder to teach and practise. 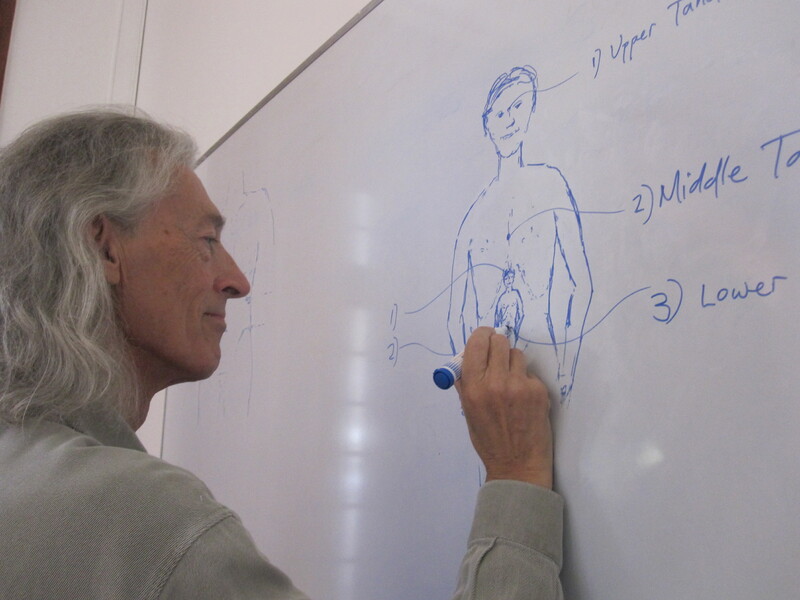 For many years now I have experimented, both in my clinical treatments and in my teaching, with an approach that is essentially experiential in nature. This is to say that I have minimised the application of formal knowledge, both from the Eastern Tradition and Modern Medical viewpoint and sought to promote consciousness in healing through directly embodied awareness and experience. The simplest techniques and practical exercises are combined in an integrated approach to convey the necessary skills and perceptions and outline a path in medicine from dependence to independence, that is to guide the “patient” toward healthy and conscious autonomy. This is identical with the traditional ideals and practical methods of original Chinese Daoyin, or Do-in in Japan, from which modern Shiatsu grew. It also implies making clear what I call the “return path” – from detailed knowledge and specialised applications the practitioner returns to simpler general, “Yin-Yang” principles. These are natural principles incorporated into our practise that serve as a provisional guide so that, with sensitivity and openness, the truth of the moment can emerge into direct experience. Therefore, I am interested in exploring the relevance of Hara Culture, or Ki Culture, as developed through Seiki by my late teacher, Kishi Akinobu, to our modern dilemmas and integrated health needs. This means understanding and offering our work as a healing art as much as, or more than, a scientifically ratified professional therapy. It means emphasizing its usefulness in simpler forms, as education in body-mind health and harmony, accessible to individuals, families and the wider community. Re-establishing the art of touch for a healthy relationship with oneself and others is a social priority that can counter the many alienating tendencies of our fast-paced, competitive and materialistic culture. If the human body is a complex organism integrating a matrix of biological functions into a coherent whole, and the human person is nurtured and carried in a dynamic relationship with nature and the socio-cultural environment, then the refinements of manual therapy implicate practitioner and receiver in a co-operative endeavour that can only be understood and practised holistically. We should not try to reduce our work to the objectified effects of specific techniques on the body, for formal analysis in terms of energy, bio-physics, or chemistry, or even the formalities of traditional medicine. Ki is not recognisable in this way. It is in large part an inter-subjective experience that we transmit and receive in an individual exchange conditioned by sensitivity and shared values. The challenge before us now is to communicate these perceptions and values in relation to our work and to stay simple. I began my career in traditional healing as an amateur, impressed by the benefits of simple shiatsu as it was first introduced from Japan to the modern West. 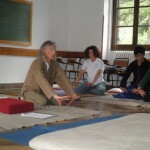 For decades I witnessed and participated in the establishment of the professional disciplines of Eastern Traditional Medicine, but I never lost interest in promoting and sharing, through classes in the community, the subtle healing arts of movement and touch that have always been part and parcel of the integrated Eastern traditional view. These are radically empowering, enabling people to find health and healing for themselves and their families with less dependence on high cost medicine. On the interior path there is absolutely no reason to distinguish the needs of the professionally trained medical practitioner or therapist from those of a lay-person who may as easily be their patient/client or their teacher/guide. In fact there is a convergence of needs, as the inner process of healing is consciously realized in shared practice. The experiential way implies developing a feeling for life, for what is simply there. I therefore devoted myself to finding and clarifying the core principles and simplest common denominators that will act as guidelines in healing practise…. ……. And the enlightened tradition of Eastern Medicine promotes this through the continuation of Daoyin/Do-in to its logical spiritual goal, fully awakened consciousness. 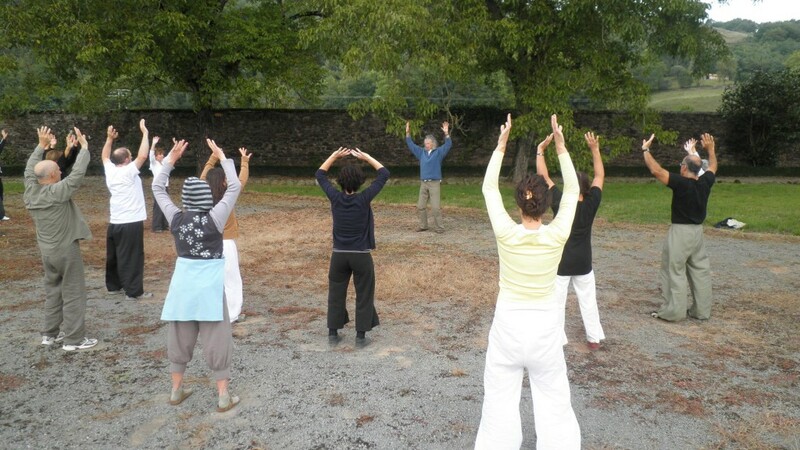 In China, Taoist and Buddhist influences are honoured alongside the Medical School and the “Inner School” martial arts as contributing to the whole field of Qigong. Similarly, In Japan, Zen combines with the Hara disciplines in all traditional arts, from caligraphy and flower-arranging to theatre and dance. Health and harmony are integral aspects of a coherent cultural expression and spiritual liberation is a practical, down to earth business that has everything to do with living well this ordinary life. 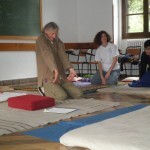 The course for the Chicago Shiatsu Symposium is typical of my ongoing work, which aims to outline the philosophical base for recognising, entering and following the experiential or inner dimensions of the healing path, in itself a practical undertaking. These practical guidelines are absorbed into our sensory awareness field through exercise, giving many opportunities to clear obstructions in our own system, harmonise and strengthen our vital forces and refine our senses. Beginning at the beginning, adhering to the consistent guiding principles of the Yin-Yang paradigm, we can examine for ourselves how our body-mind responds with feeling and spontaneous adaptation to the field of information available, developing our own awareness programme. 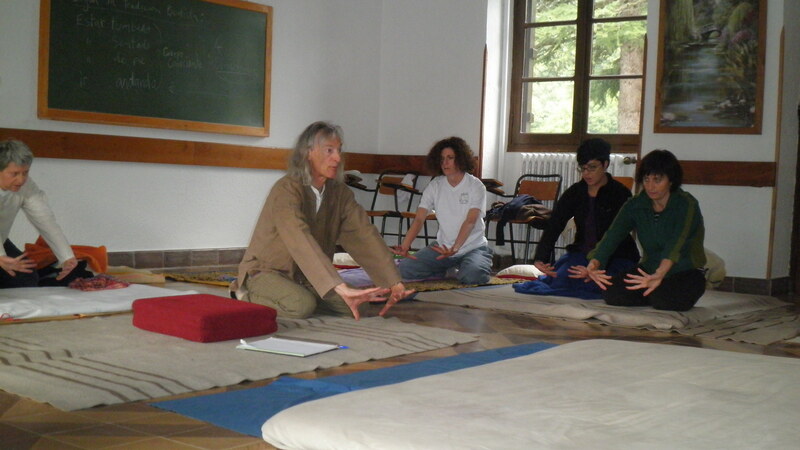 In parallel, working with others, we explore the experiential basis of “Seshin”, a fusion of traditional touching diagnosis and treatment, initiated by S. Masunaga, that accords with conventional shiatsu but which is also a point of departure. Through patient attention and a quiet, less insistent approach we develop a more refined appreciation of movement and touch, generally linked with expanded perception on all levels. 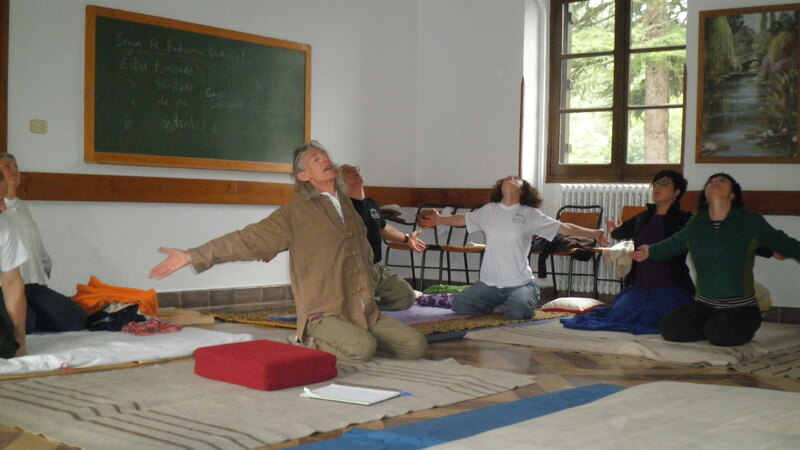 Subtle movements arising internally can then be experienced and followed through mutually felt resonance. Finally, we may recognise how the practitioner’s disciplined self preparation, precise orientation and selfless participation gives rise to spontaneous action/no-action” (Chinese: Wei Wu-wei) which is the same as “emptiness/movement harmony”, or Seiki. The practice is the path and, to borrow a phrase from Chogyam Trungpa, “The Path is the Goal”. PL.